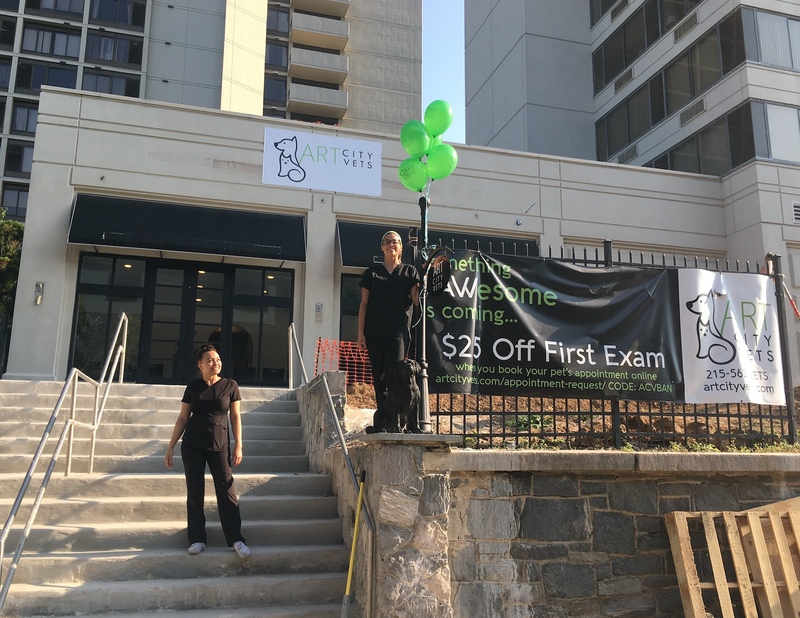 Art City Vets Opens Bringing General, Sick, ER & Urgent Care to Philadelphia Pets! PHILADELPHIA, August 28, 2018 – Art City Vets Animal Hospital is now open and available for general, sick, emergency and urgent care visits! The new facility, located at 2001 Hamilton Street Condo Unit 1, opened its doors to clients today, August 28 and plans to announce a grand opening party in the near future. Art City Vets defines themselves as a forward-thinking animal hospital, committed to the development and practice of innovative veterinary medicine. Each of their patients is treated on an individual basis with their unique needs in mind, as they will proudly see dogs, cats, rabbits, rodents and other exotic pets. The hospital is bringing new offerings to the city with their Sick, Emergency and Urgent Care services in addition to General Practice appointments. All veterinary equipment was acquired after extensive research by Dr. Aller to ensure the best diagnostic care for all types of pets. Art City Vets boasts a full in-house laboratory, pharmacy, both digital x-ray and digital dental x-ray, top of the line anesthetic monitoring, routine and involved surgery, laser therapy, and more. Being a member of this local community, I want to provide its residents with a compassionate and thorough experience for every pet that comes through my door. I feel that this community deserves that type of hands-on, individualized care that puts the pet's experience first. Art City Vets is owned and operated by Philadelphia resident, Dr. Edward Aller. Following graduation from the University of Pennsylvania School of Veterinary Medicine, Dr. Aller began his veterinary career, first at a South Jersey animal hospital treating a wide variety of animals and then for the past four years at a large 24-Hour Emergency & Specialty Care facility in Mount Laurel, NJ. Working at the specialty facility gave Dr. Aller the added experience of seeing a large variety of emergency cases, as well as learning from top specialists. His love of emergency, exotic, and general practice inspired him to take his career to the next level with the creation of Art City Vets. Art City Vets believes strongly in giving back to the community, offering discounts and incentives to 501c3 rescue groups, taking part in neighborhood events and supporting the efforts of local animal shelters. The hospital is currently accepting new patients and is offering a $25 discount off of a pet’s first exam fee with code ACVPR. Previous articleCalifornia State University, Sacramento is Eliminating Near Misses at a Dangerous Cross Walk and Enhancing Pedestrian and Bicycle Safety.